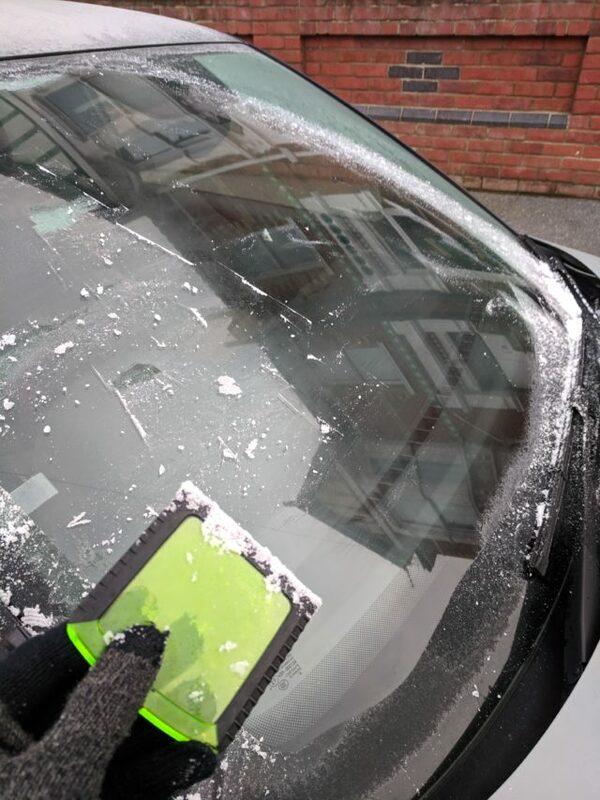 It’s never a good sign when you leave the house and a neighbour is frantically trying to scrape the ice they hadn’t anticipated off their car’s windscreen – and realising you hadn’t anticipated it either. That’s exactly what I faced recently. Leaving for work at my usual time, I had failed to prepare for the sub-zero late-January weather — with no de-icer on hand, nor a scraper of my own. Normally in this situation, I would be faced with two choices. The first would be to sit in the car with the heating on full blast, listening to Greg James on the radio while waiting for the ice to melt. As relaxing as that sounds, it would also probably make me late for work — and it’s not a great idea to sit with the engine running for that long. The second choice would be to take my debit card to the screen, and risk breaking it — thus leaving me without any way to pay for my lunch until my bank sent a replacement. This time, however, option C would come to hand — thanks to Skoda’s ‘Simply Clever’ philosophy applied to our Fabia. Having driven the Skoda home the night before, the chilly morning was a chance to take advantage of the ice scraper hidden in the fuel cap. It’s not your common or garden ice scraper, either – there’s a variety of rubber grooves and surfaces to tackle all levels of frost. Popped out in a mere second, ice efficiently cleared in less than a minute and then back in place in no time at all, I was good to set off on my journey virtually uninterrupted. It may be a small addition, but one that can prove seriously convenient and shows Skoda really does think with the day-to-day user in mind when piecing its machinery together. Pleased with my small triumph of the morning, I did what any member of ‘Generation Z’ would do — and posted it on social media. It was here though that a senior employee of one manufacturer (dropping no names here) decided to tell me that their car’s heated windscreen offering was even more helpful, allowing the owner to forgo the hassle of clearing the glass themselves. 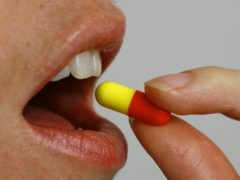 Yes, having experienced this exact technology in a similar situation not long before, it is very good. 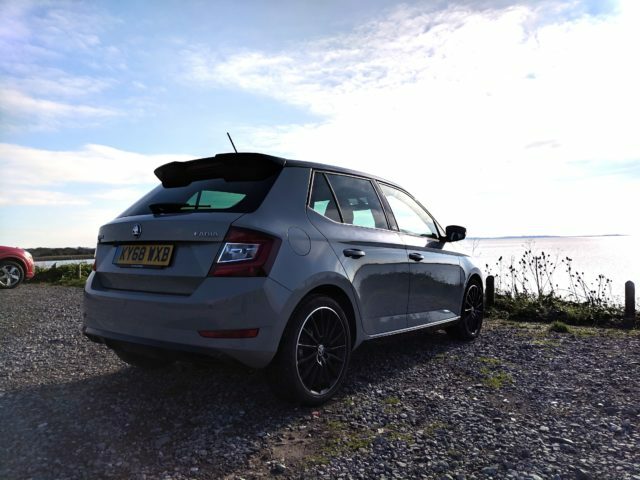 But it also bumps to cost of the cars it’s available on up and isn’t available as standard on a particular key rival to the Fabia. By contrast, all variants of the humble Czech hatch get this little scraper, which probably costs pence if anything to Skoda — and I suspect that isn’t passed on to the consumer. There’s also an umbrella to be found inside the car, which I hope to try out as the cold weather becomes wet weather. Simply Clever, indeed. 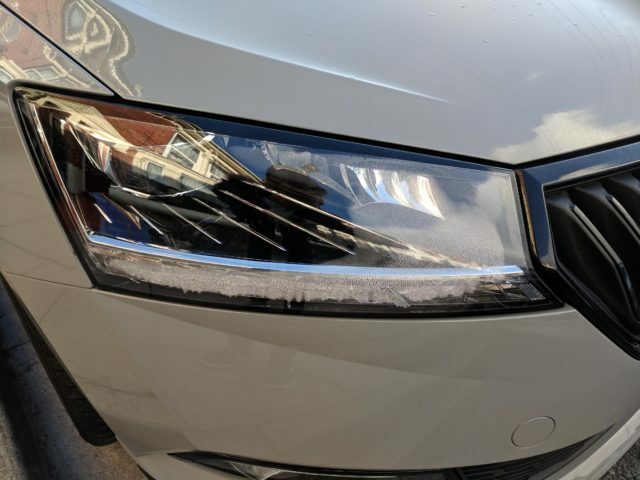 Followers of the Fabia story so far may also recall we had a small issue relating to headlight condensation. Skoda has kindly organised a replacement for us on the front, but with a backlog on this particular part, it’s going to be a few more weeks until we can get it repaired. Perhaps a sign this is a more common issue? That I’m not yet sure of but will be sure to report back when the time comes for the work to be done.